In 1971 Eddie Palmieri formed formed the first ever, and by most accounts the greatest latin-funk group ever—Harlem River Drive. A band made up of all-star latin and soul-funk musicians, that featured the likes of: Cornell Dupree, Bernard Purdie, Charlie Palmieri, Andy Gonzalez and Jimmy Norman. This was at the exact same time when Angela Davis was locked up, in fact the FBI were even investigating Eddie’s group for their politically charged lyrics. 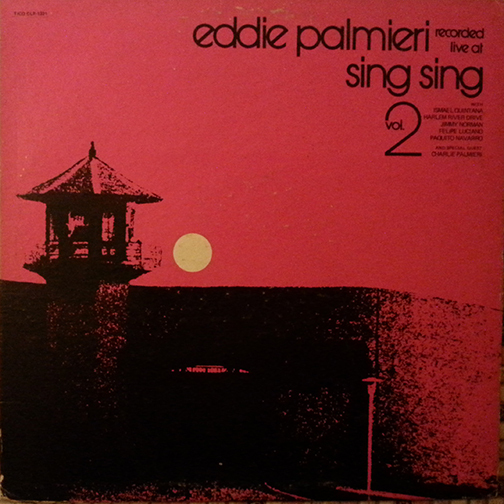 One of which was penned by Eddie’s friend Calvin Clash who was locked up in Sing Sing and thus sparked this incredible 2 volume set of recordings live from inside Sing Sing Prison. Take a listen to Somebody’s Son. As Martín Espada explained on Sunday, music, poetry, and art can do far more to motivate, inspire and engage the masses than any speech or lecture. I’m not sure a better song exists that accomplishes this in regards to confronting the inhumanity of prisons. And it’s damn funky too! You may have noticed the above record is actually Vol. 2. I can’t rightly look past Vol. 1, which is equally amazing. One of the innovative things Eddie did when performing with Harlem River Drive was to open with separate latin and funk sets then come together for the finale. Lets checkout the opening set from Live at Sing Sing Vol 1, Pa La Ocho Tambo. I’m blown away every time I hear this recording. I honestly get the feeling that Eddie and his group are literally trying to set everyone inside free by knocking down the prison walls with their music. And it wasn’t just at Sing Sing. 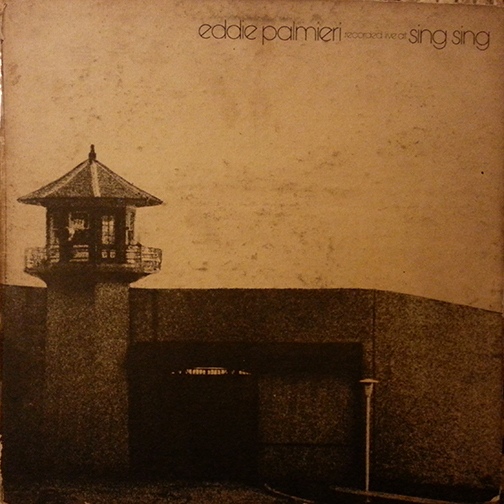 During this time Eddie was taking his music to many prisons, from Rikers Island to Puerto Rico to Colombia. Currently 2.1 million US citizens are locked up, that’s 1 out of every 100 of us. For blacks it’s 1 out of 15 and for latinos 1 out of every 30. The bill we are paying to incarcerate our people is $21,00 per year. There has to be a better way. I for one plan to keep dreaming widly and support any movement to tear down our prisons and build something better. This entry was posted in PELANGA RECORDS! and tagged Eddie Palmieri, Harlem River Drive, Latin Funk, Political Music, Salsa by Jacobo (DJ Pozole). Bookmark the permalink.